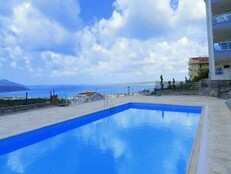 Find your holiday apartment in Akbuk. Offering blue-flag beaches, a stunning mountain backdrop and overlooking the clear waters of the Aegean is the up and coming area of Akbuk. Rapidly becoming a 'hot spot' for UK and foreign investors, it's current affordable land and property prices and stunning location mean it is an excellent option for those looking for property lightly to rise quickly in value. For those that are health conscious Akbuk is also purported to have the highest oxygen ratio and the lowest humidity in Turkey making the climate pleasent with a refreshing breeze even during the long hot summer months. Akbük which has 15 km length seaside covered with pine and olive trees, is a star of Aegean Sea and looks like a natural wonder. It is surrounded by mountains; in its north Karadiken, in its northeast Ilbıra Mountain, in its east Kazıklı Village, in its southeast Bozbük Village and in its south Aegean. 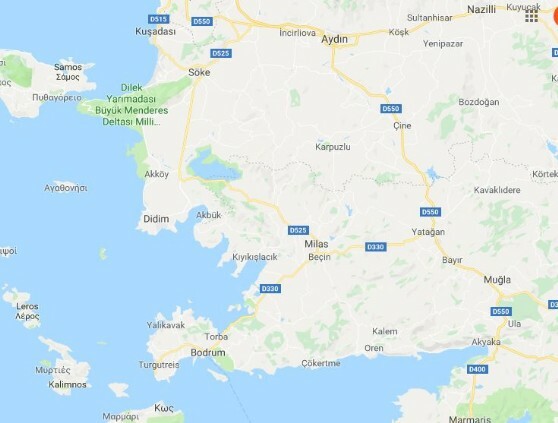 Akbuk is located between Bodrum, Altinkum and Didim. In comparison with these areas nearby, it is largely unspoilt by tourism although recent visitor figures suggest the area is attracting much attention hence property prices increasing rapidly as a result. As is the case throughout Turkey, Akbuk is close to a wealth of historical sites and areas of natural beauty, Bafa Lake and the Apollo Temple to name but two. It is within easy access to the thriving resort of Altinkum offering a fabulous selection of cultural and social activities, restaurants, shops and bars. For those that are health conscious Akbuk is also purported to have the highest oxygen ratio and the lowest humidity in Turkey making the climate pleasent with a refreshing breeze even during the long hot summer months. 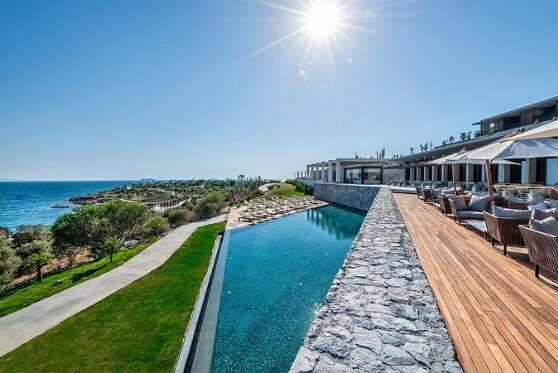 Buying a villa in Kaplankaya is an investment in serenity, privacy and luxury for life. Residents become part of a unique community of likeminded individuals. Kaplankaya will forever change the way you see Turkey. It will give you the chance to experience a deeper insight into this great country. Kaplankaya holds nature and tradition in great respect whilst representing a global and open-minded outlook. Only 200m from the sea. An ideal luxury holiday villa, or an retirement home. 600 meters from the center and the beach. Apartments with 2 and 3 bedroom. 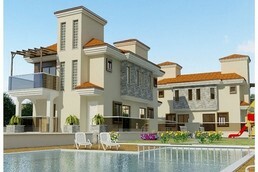 Villas with 3 bedroom. 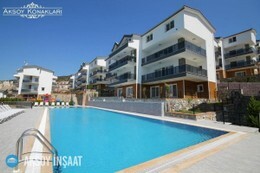 Large swimming pool, 620 sqm. Few 4 bedroom apartments left. A small delightful development of only 20 units. 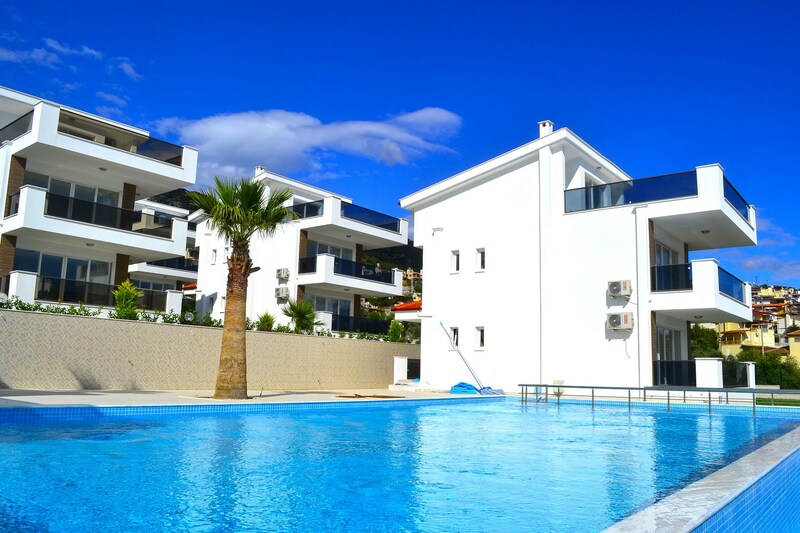 2 and 3 bedroom apartments, and 8 x Villa’s. 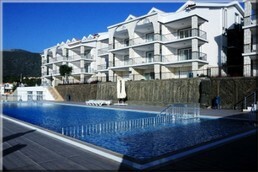 Located only 600 m from the beach with walking distance to restaurants and shops. Panoramic view over Akbuk Bay. Akbuk Konaklari is located 1,5 km from the beach in Akbuk. Free shuttle service to the beach. 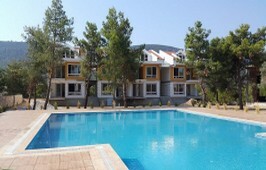 A GOOD SELECTION OF NEW AND SECOND HAND APARTMENTS AT SUMMER BREEZE RESORT IN AKBUK. Only 500m from beaches of Akbuk and close to Akbuk town and commercial centre. * Duplex 3 to 5 bedr. * Large outdoor swimming pool for adults and childrens pool. * Only 500m from the Aegean coastline of Akbuk. 12 x 2 Bedr./ 1 Bathr. 12 x 3 Bedr / 2 Bathr. A small exclusive resort that consists of only 28 units in total. * 14 x 2 bedroom 2 bathroom apartments. * 14 x 3 bedroom 2.5 bathroom Duplex. 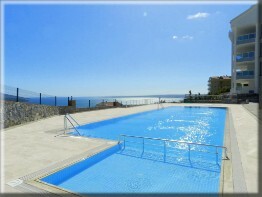 * Access to 4 large Swimming Pools. * 18 x 2 bedroom and 2 bathroom apartments. * 22 x 3 bedr /2 bathr. duplexes. * 2 x 4 bedr / 3 bathr. duplex penthouses. 3 bedroom luxury apartment for sale. 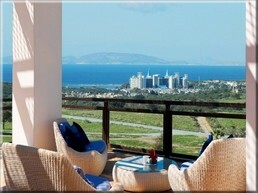 Akbukhouse is a Norwegian real estate agent specialized in the area of Akbuk and Didim. Partner and agent for Aksoy Construction, BBCG Construction and Oracle Property Developer.